Hi, Ultimate Health peeps! This is part two on my series of the 6 tips to activate and align your dreams into your reality. I’m so excited to have you continue this journey with me. In the first part of the series we talked about having these dreams, but you haven’t acted on them or put them out there because of some reason. If you haven’t had a chance to read it yet, you can do that here. Today I want to move into sharing the tips for activating and amplifying your dreams and how you can do that. 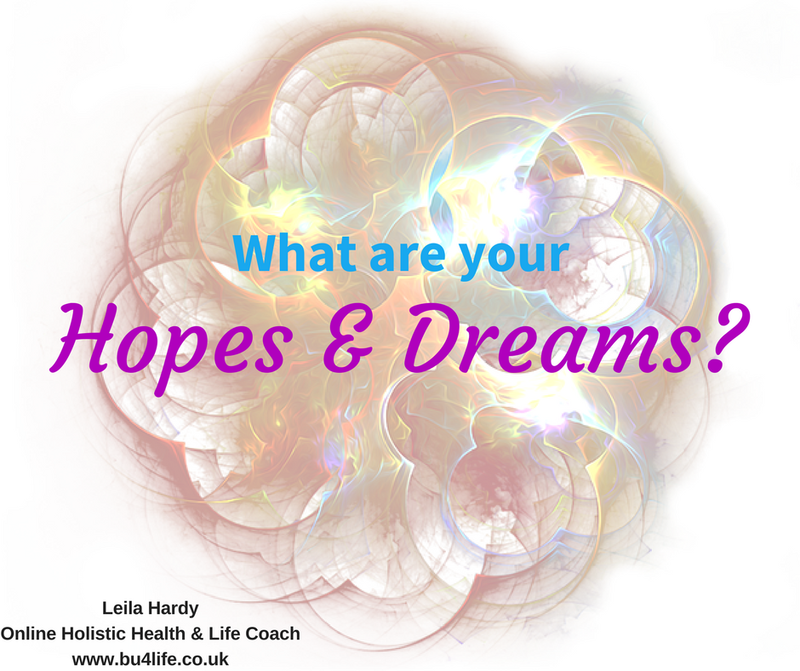 Let’s look at the top tips for activating first and then amplifying your dreams. For sure they need activating; the process of sharing is starting an activation process. 1. It’s key to get clear on what the end result might look like. If it is a health goal, it might be a fitness level or a size or a shape or a length of a run that you want to do or an event that you want to achieve. If it’s to do with a business or a project, be clear on the income you might want, the lifestyle it will provide, the hours you want to work, the energy that you want to put into it, the kind of clients that you want to work with, the tribes that you want to build. As you get clear on the end result you will start to see where there may be gaps in the details or there may be gaps in your clarity around what that might deliver. Let’s say it is an income goal but your values are having time to spend with friends and with family. You’ve set an income goal but there is a part of you that as you say it out loud and start to get clear on it recognizes right now with the systems you have or don’t have that that’s going to take a lot of your time and energy. In such a case it’s worth bringing yourself to a goal that feels super-manageable for the time that you have so that you can spend that with friends and family just for the short while. As you build it, you can then put other systems in place that will allow you to go to the next level and then the next and so on. 2. Really feel those end goals, those dreams. Inside of you in the Heartspace, feel it coming true. Close your eyes for a moment, take a deep breath and just visualize having that dream. Being that dream. Doing that dream. Seeing the dream. Going to the places in those dreams. As you start to imagine seeing, having, doing, being, going through those, then start feeling the emotions that come up. As you start to feel the emotions like excitement, joy, passion, freedom, liberation, empowerment, all of those incredible high vibration emotions, really intensify them. Really increase them. Maximize them. Multiply them x10, x50, x100. As you start to do that, allow them to spread up, down, and all the way around your body from head to toe and 360° around you. As you start to visualize all of those things, use the senses. Feel the temperature or the texture on your skin. Imagine those feelings. Hear the sounds. See the sights, everything you can see having achieved those dreams and those hopes. As you start to really engage every one of the senses, every bit of your energy, every bit of your mind, you’re really starting to quantum-leap, essentially. You are quantum-leaping and giving yourself the opportunity to let the mind shift. And when the mind shifts, the body has to follow so then the action starts becoming easier. That’s what that means physically. It becomes more aligned for you to take the aligned and inspired actions to allow the body to change and to shift. I suggest you practice that in the moments when you’re waking up in the morning and the moments that you are going to sleep at night because that is the most incredible time when your brain is shifting brainwaves into a different state. That is the time to be thinking about what it is that you really want - your dreams, your hopes, your desires, everything you could possibly want. 3. Let go of how it’s going to look. When you’ve got those big dreams, this is when it’s super key. If you’re one of the people who have got big dreams but they feel like they’re too big to achieve or for them to come true, this is really key. Let go of the how; letting go of the how it is going to happen. How am I going to do that? Because as soon as you start to question with how, your subconscious will start to give you reasons why it can’t be feasible and understandable and comprehendible. As you start to zoom in on the here and the now of your dream, ask your higher self or ask your subconscious or write down on a piece of paper, “What are the next 1-2 steps that I need to take to move me towards that dream?” Those steps might not actually be directly connected, in your own mind, to the dream. But what you will see is as you consistently trust taking those next 1-2 steps, over time you will realize that actually you’ve been guided all the way towards that dream, in tiny, consistent steps! 4. Don’t wait until you actually risk having those dreams taken away from you before you move towards them. Move towards them now. Don’t wait until you have more time or the holidays are over or you have more money or whatever is in your way. Just be aware that that’s a story. Do not wait until your dreams are being stripped away from you before you start moving towards them and taking those 1-2 steps every day or couple of days. If you wait until they’re being taken away from you, that’s when you’re not in this expansive energy of, “I can do this.” You’re on, “What I’m I going to do?” And that's a very different energy. Give yourself that opportunity to take step 4. This is where it overlaps because that could be backed on to step 1, step 2, step 3, step 5, and step 6. 5. Check in daily as part of your own self-care routine to what those next 1-2 steps might be every day. If you meditate, that’s brilliant because that’s a great opportunity while you are still to be able to ask, “What are the next 1-2 steps that I need to take today that would be in my highest interest moving me towards the goal I’ve set for myself or the dream that I want to achieve?” If you journal, grab a pen and paper and just ask yourself what the next 1-2 steps today that are in your highest interest based on the dream that you want to achieve are. You could just say it to yourself; grab a coffee, sit, and contemplate. But I suggest you write the steps down because it makes them manifest. Allow that space for not only you to feel accountable to take action on them but also for Universe, God, Source, or whatever you want to call it to align instances, experiences, situations, and opportunities for you to be able to actually take those steps. What is it I need to do, and when? This is working on the mind, the body, and the spirit aspect. It’s helping you to express, to get clear on what those steps might be, and helping you to take action. You don’t have to answer all 3; you can pick one each day, intuitively, that you want to focus on and ask that throughout the day. As you start to ask it, you are encouraging your brain, the creative part of you, the Sacral energy centre, to really activate, to really start to create and to manifest and to really get into the nooks and the crannies of those dreams to help them to align and to manifest. I can’t wait to hear what changes as a result of this. Any questions at all, share with me either here or over in my Facebook group. I love to hear what goes on with you.